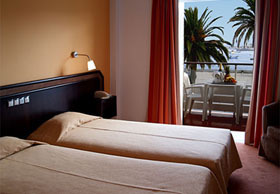 The 113 comfortable rooms witha stunning views of the Cascais Bay offer a peaceful, cosy atmosphere. Most of the rooms have a private balcony overlooking the sea and the remainder have a view over the Town of Cascais and the mountains of Sintra. 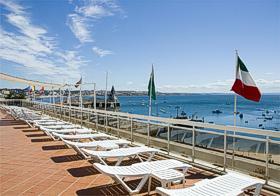 On the fifth floor you will find the roof top swimming pool and solarium. This is the ideal place to enjoy the fabulous view of the Cascais Bay while you refresh yourself with a cool drink or snack from the bar. 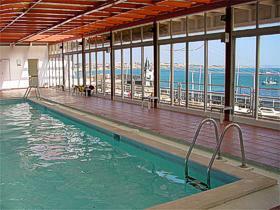 Our roof top swimming pool is covered and heated and open all year round. 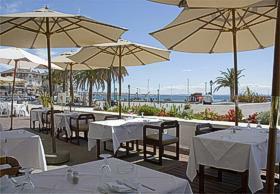 At Hotel Baia’s Grill Restaurant, famous for its traditional Portuguese and International cuisine, you will be able to savour our specialties, including the freshest fish and sea food! On our sea front terrace you will be able to enjoy a refreshing drink, a snack, a mouth watering meal from our Grill Restaurant or one of our famous barbecues. 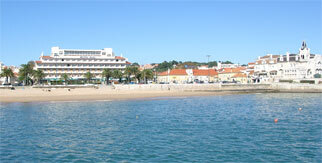 Close to all the local Golf Courses and the Estoril Convention Bureau, Hotel Baia offers all its visitors a warm, welcoming atmosphere.